I’ve got a problem with Felgo: It seems, that with the cocos renderer, the z-position of items can’t be changed at run time. For example, when i add a lot of items with images, and with pre-defined z-position, everything works fine, but when i start to move them around on the screen and update the z-position accordingly, it doesn’t work. However, when i enable the QML renderer, it works perfectly fine. Is this a known issue with Felgo? If you don’t get what I want to say, I’ll provide some screenshots. There is a reason why changing the z-order is not supported with cocos renderer: in Cocos, changing the z order is a very complex operation and is not supposed to be publicly available. The reason why it’s complex, is that the scene graph is stored as a z-ordered list, which would need to be re-sorted during runtime which is not efficient. If you provide details what you are trying to achieve, I could point you to other approaches to meet your desired goals. In general, you could add some parent items with different z orders and add the children to the z-order where you would want it to be. What I’m trying to do, is kind of a 2.5D game. Here everything’s fine with the z-order. I guess you are creating your entities dynamically with the EntityManager? The z-ordering depends on the order of which the elements were added to the Scene: if they do not have any explicit z order set, it defaults to 0 and items added at a later time are drawn on top of the previous ones. – a player layer with z=3, which guarantees the player is always drawn on top. When you create the entities dynamically, you can specify the parent item where the newly created entity will be added. Actually, the z-ordering works fine when i just specify the “z” property of all my entities. But the problem is: because of the 2.5D-look, items in the lowest row have to be drawn above items in the second row from the bottom, and so on. If you look closely at the player, the wall beneath him overlaps him, which is intentional. But when the row-value changes, the ordering needs to change, because then sometimes a box in a lower row has to overlap another box, which previously wasn’t the case. So you really need to change your z order dynamically in that case. You could use the vertexZ property. It is not documented though, because it usually introduces other issues like alpha blending not working correctly, but you could try if it works in your case. Add it to any Item/Entity/etc. by adding a float property called vertexZ. It is a float value and you can also see its usage in the Squaby demo by searching the source code for vertexZ. What this property does, is that it modifies the z value of the OpenGL drawing directly. It works best in ranges between -50 and 50, so you might divide your z calculation by 10 to get it working. This sounds good, but on first try it did not solve my problem. Does vertexZ work with property binding? 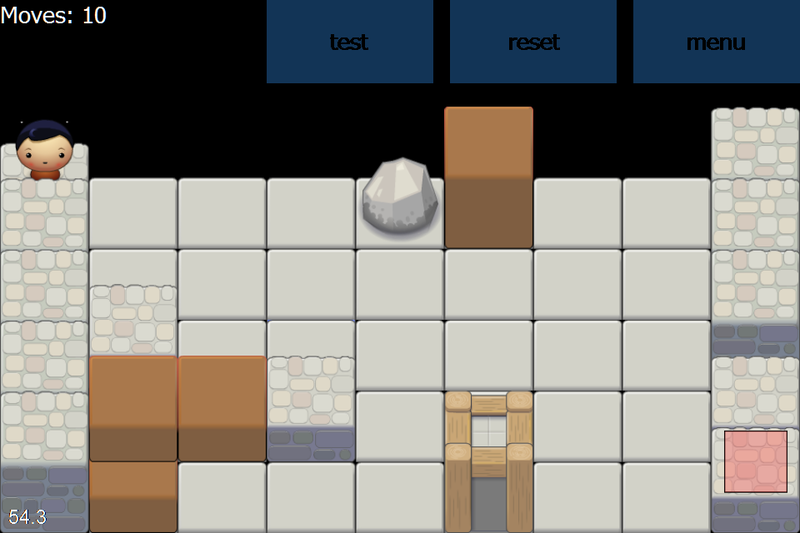 But when the value of row changes, this doesn’t seem to change, because the moving blocks move underneath other items. 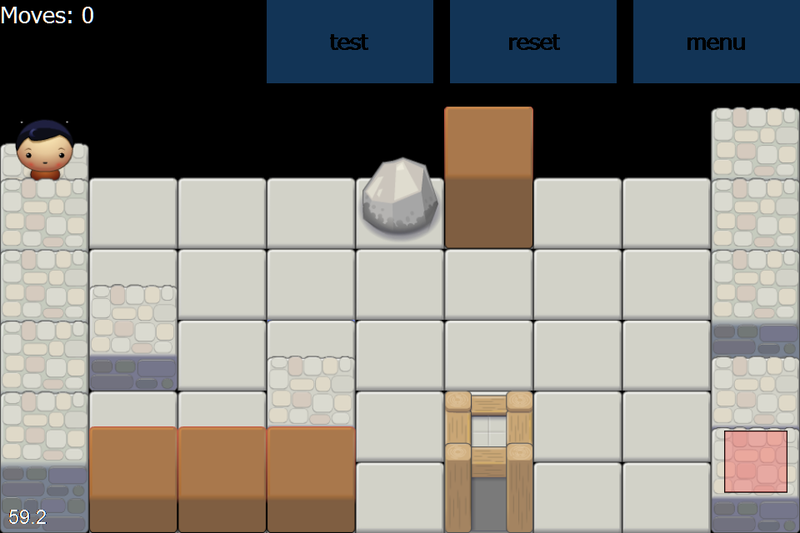 EDIT/PS: I am currently not using an EntityManager / EntityBase objects in my game, only normal Items. Could that be any problem? Alright, I found out that we do not support changing vertexZ properties at runtime with the current version. Could you please tell me which operating system you are using for development, so I can send you a version which includes that support? If you are using entities or not is not related to this issue. Using the EntityManager & EntityBase is just a convenience function if you want to dynamically create new entities, or store the levels with the entity manager. I’m currently running Windows 7 64bit, with the newest v-play release. If transparent images are used, the alpha test needs to be enabled for all child items of “layers” (which would be the rows in your case). What we found out at internal tests is, that alpha testing is quite expensive even on higher-end devices like the iPhone 4, and is tricky to set the right alpha testing value. By using vertexZ, you override the painters algorithm approach where all items are pre-sorted. So if you use vertexZ for one item and thus overwrite the normal z property, you must use the vertexZ property in all other items as well to avoid z ordering and transparency issues. Thus for your use-case, I think it is preferable to change the z property at runtime. I added the support to Felgo and added a test to the basicTests folder which will be available with the next update. Changing z at runtime should be done with respect to its performance penalties: a resorting needs to be done for reordering. This should be fine if you are not using too many siblings where you change the z order, e.g. something below 100 should be reasonable fast. And you should not do this every frame for a game entity obviously. In that case, vertexZ would be preferrable, even with its issues mentioned above. // the difference at QML renderer is, that when rect2 gets z=1, it still says behind rect1 as it was set initially! in cocos that is not easily possible, so mind this different behavior! Please make a backup of your VPlay.lib and VPlayd.lib in the folder \Desktop\FelgoSDK\lib and copy the new ones from the zip file which come with support for z changing. Please note, that a clean of your build is required so the new library gets used. With the next engine update, this temporary libraries get replaced from the SDKMaintenance Tool. Please keep me updated if this solution works now. Wow thanks that is awesome. I have experienced the issues with vertexZ and alpha in images, so this probably is the perfect solution. In my game, the z-order changes when items move around, so I’m sure I can keep this to a minimum. I’m downloading the libs at the moment and will try it out and then report back to you. Thanks for the fast solution. In Release mode, everything works fine, and the z-ordering works and runs without performance issues. That is very strange – I tested the library with a clean project and it worked both for debug and release. Are you sure you cleaned your build before? Could you also test it with an Empty Felgo Project from the project wizard please? Is there any further information about the error in the log output lines above or below your error message? It also happens on my notebook and on a collegue’s. Load config file from "H:/Projects/QT/VPlayZOrderingTest-build-desktop-Qt_4_8_1_for_Desktop_-_MSVC2010__Qt_SDK__Debug/qml/config.json" , adjustedFileName: "qml/config.json"
VPlayApplication: ...adding this import path for VPlay engine: "D:/__git/VPlayQML/qml"
VPlayApplication: adding pluginPathGeneric as importPath: "plugins/generic"
VPlayApplication: adding PLATFORM_PLUGIN_PATH as importPath: "plugins/windows"
WARNING: VPlayApplication: no GameWindow item found, so could not set the rootGameWindow contextProperty as well!